Big thanks from FWT for this fab article. Emilia-Romagna is a region in Northern Italy. Thanks to its prime location near the Po River Valley, it’s one of the most fertile and agriculturally-rich regions in Italy, also making it the gastronomic heart of the country. 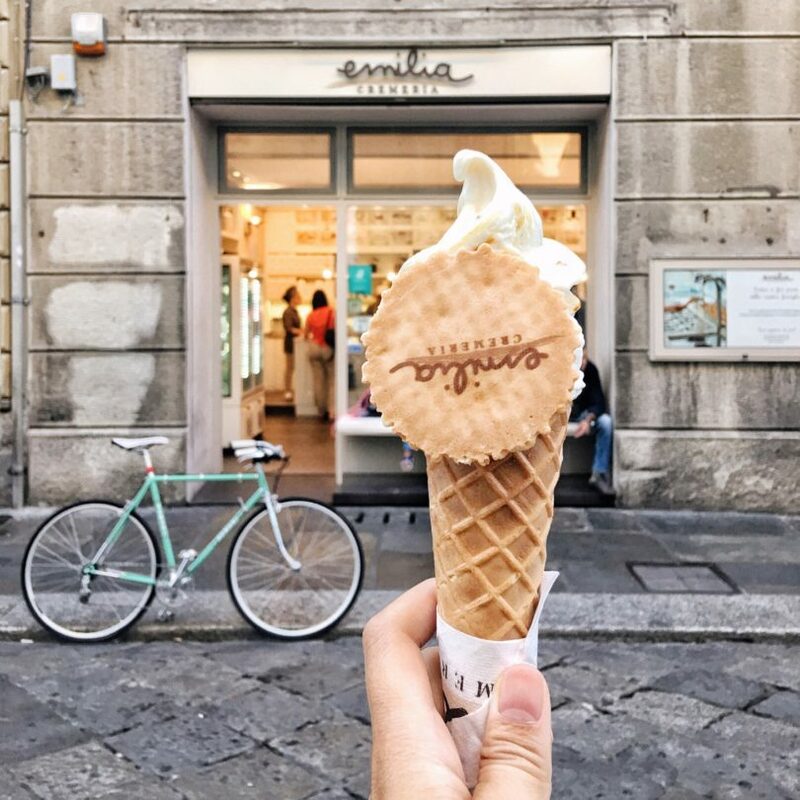 Despite being an ultimate foodie destination, it still lacks the daily hordes of tourists that neighboring areas experience (drive two hours north and you’ll hit the crowds in Venice, drive an hour south and you’ll find yourself swamped in Florence). Emilia-Romagna is an underrated and yet-to-be-discovered gem. 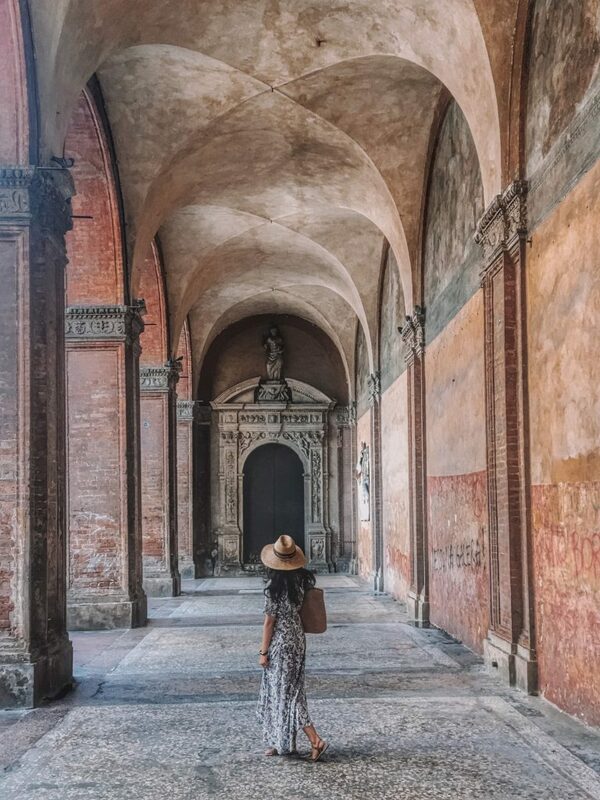 Several cities and villages make up the region, but our Emilia-Romagna weekend road trip focused on hitting-up the big three: Parma, Modena, and Bologna. Do you want to eat charcuterie that is so good, it melts in your mouth? You can find that in Parma. 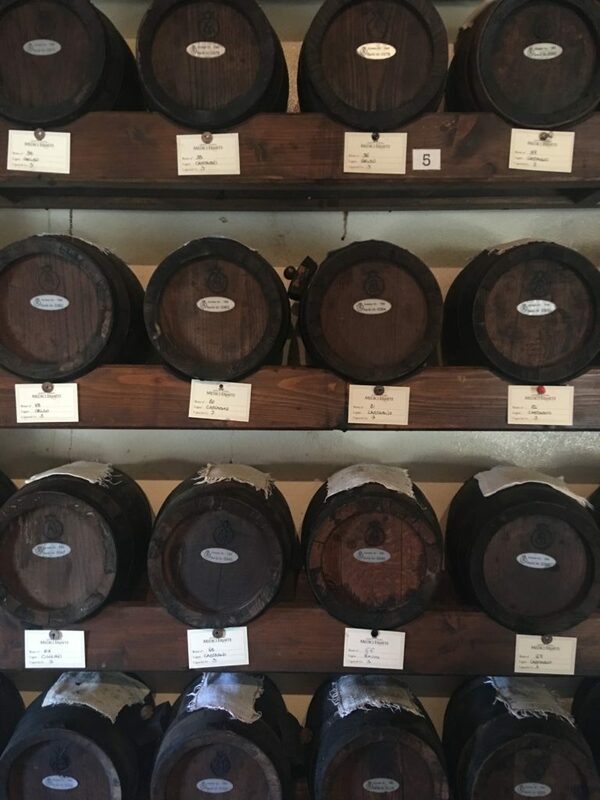 Are you interested in experiencing what true traditional balsamic vinegar tastes like (trust me, it’s not like what you find in your local grocery store chain!)? Go to Modena. Want to discover the art of filled pasta? Check out Bologna. 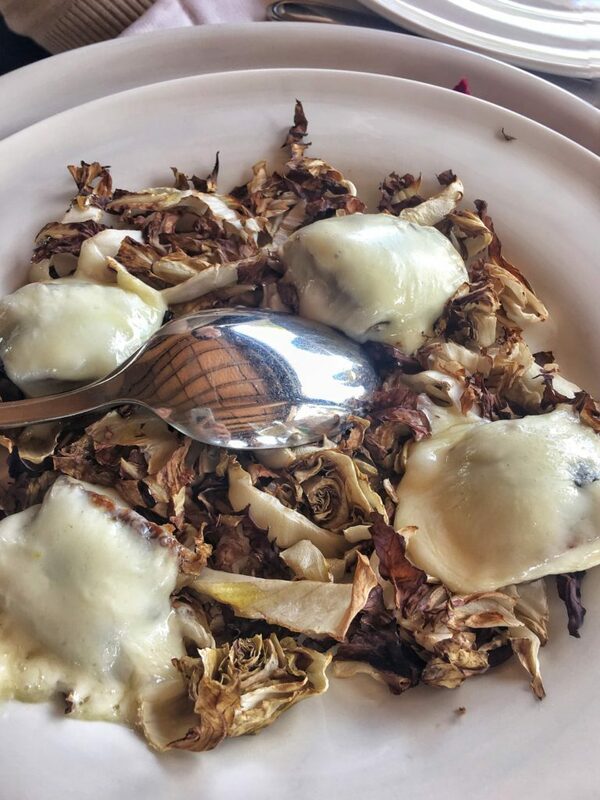 With cuisine that’s rich in meat and carbs, it’s not exactly a region you’ll want to travel to when on a diet (full disclosure: I mentally prepared myself for a few friendly new pounds when we booked our trip). But, the calories were worth it. Read on to find out why. 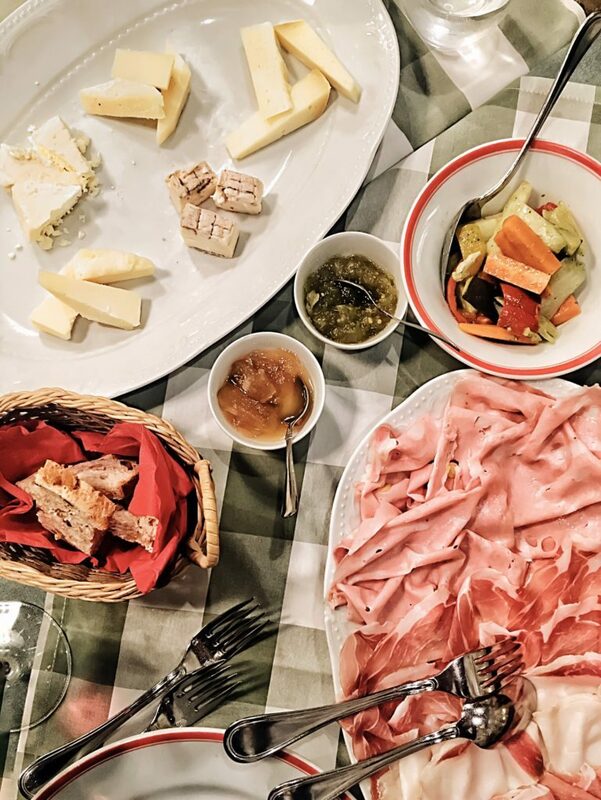 TIP: Yes, Emilia-Romagna specializes in traditional Italian food staples (think cheese, wine, pasta). But if pizza is what you’re looking for, then Emilia-Romagna is not the place for you. Head south to Naples for the BEST PIZZA YOU WILL EVER HAVE. PERIOD. We started our grand journey around Emilia-Romagna by joining a full-day food tour (Three Kings Food Tour) that started in Parma. 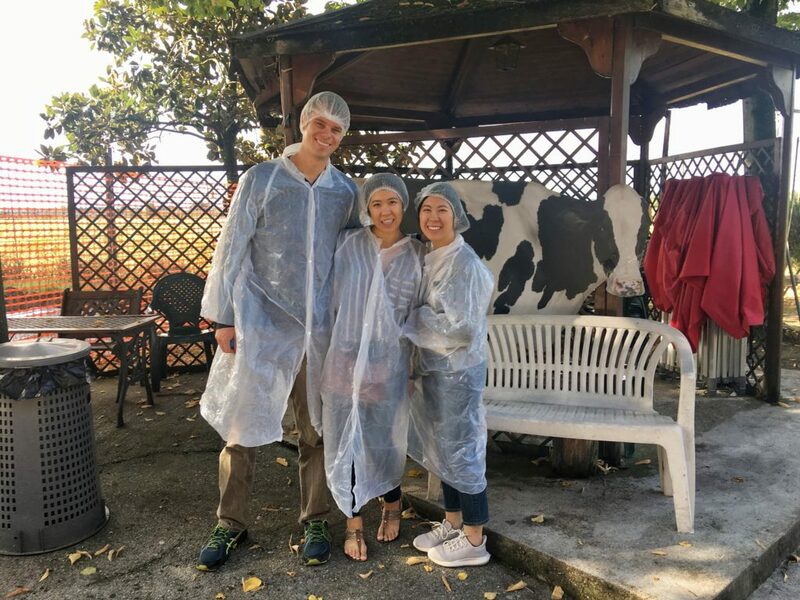 I couldn’t recommend this food tour enough – it was a great way to taste and learn more about the various products that make this region so special (Emilia-Romagna is home to 42 DOP products!). DOP stands for Protected Designation of Origin and is a certification that ensures the product is of high quality, locally grown/sourced, and produced in a traditional way. Although the food tour was not cheap (54 Euros per person, excluding lunch and tip), it was totally worth spending the money for the experience. Our tour guide Angelo was friendly and knowledgeable – we learned so much about the region and discovered some local hidden food spots! To save money, we opted for the tour that lets you use your own rental car, and we drove/followed our tour guide to the various spots throughout the day. The tour was kept small (4-8 people) which made for a more intimate setting. TIP: If you want to experience the best, make sure to choose a food tour that goes to the countryside. This is where most of the product that fuels the region is grown, and where happy cows and happy pigs roam. 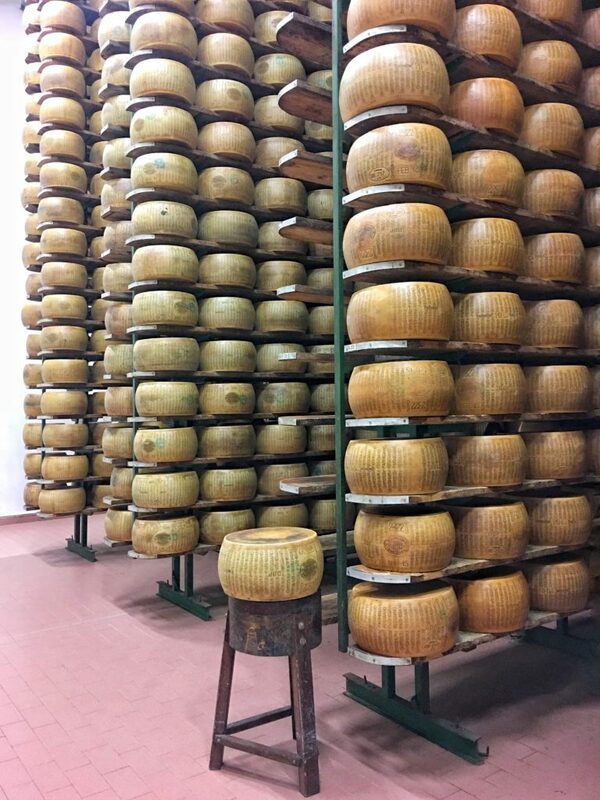 Our first stop on the food tour was a local Parmigiano Reggiano (Parmesan cheese) farm. Donning stylish hair caps and fabric booties (used to protect the cheese from outside debris), we toured the facilities and learned about the entire process of producing, salt bathing, and aging of cheese. The aging process is what makes Parmesan unique – the minimum aging time is a year. The longer the aging process, the more expensive the cheese. Seeing the storage facility for the aging process was quite a sight and we found ourselves gaping at what seemed like never-ending rows of floor-to-ceiling walls of cheese….just thousands of yellow cheese wheels stacked on shelves waiting to ripen. There was over $7MM worth of cheese in front of us! 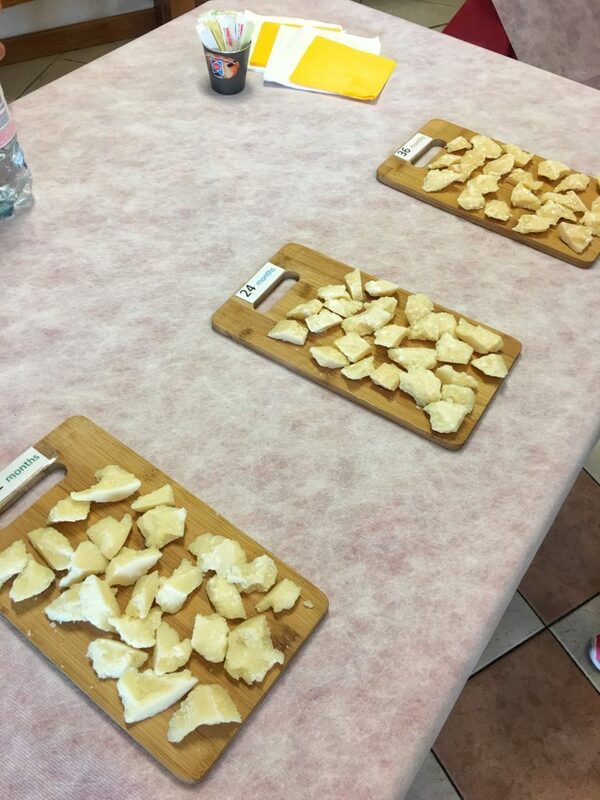 My favorite part of the cheese tour was the tasting – we tried a variety of 12, 24, and 36-month aged Parmesan cheese (paired with crackers and wine) and it was all delicious! Of course my favorite was the 36-month aged Parmesan (my husband says this is because I have expensive taste). Stop two on our tour was a Parma ham factory. 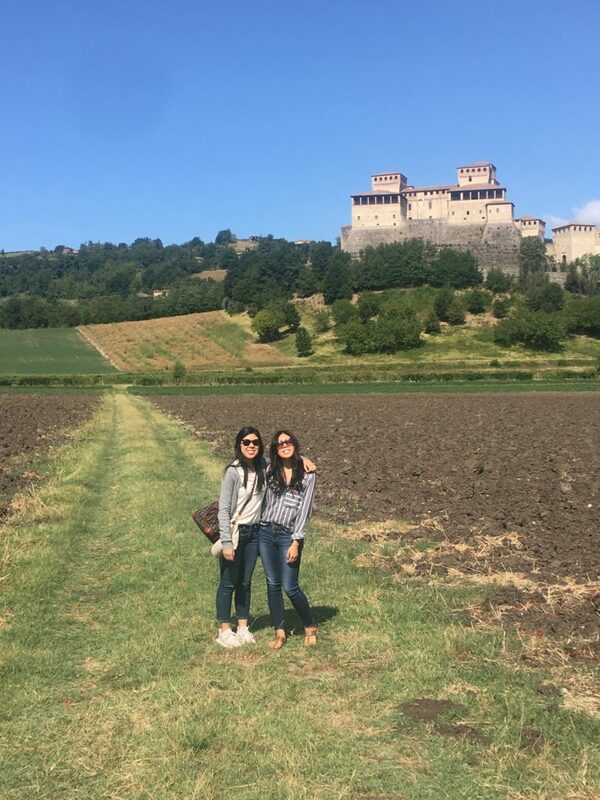 On our way there, we made a pit-stop to snap pictures of the gorgeous Castello di Torrecharia, one of the best preserved castles in the region. 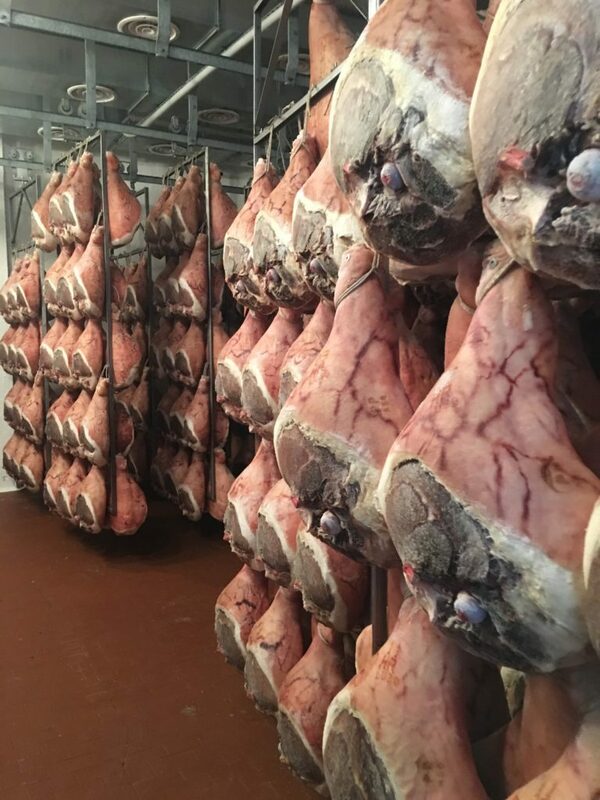 The Parma ham manufacturing process involves an intense cleaning and salting of the ham, and then an aging period where the ham is hung in a controlled environment for 18 months (it’s best if the room is cold and dark). We were taken to one of the aging rooms and I’ve never seen so much meat in my life. Between the cold temperatures, the darkness, and the hanging hunks of raw meat….it felt a bit like we were on the scene of a horror movie! After the tour, we were treated to freshly-sliced Parma ham and it was delicious (nothing like the refrigerated pre-cut deli meats you pick-up in supermarkets). The ham tasted almost buttery and almost melted in our mouths, leaving a perfect aftertaste of sweetness and salt. FUN FACT: True Parma ham only consists of two ingredients: pig and salt. Angelo claimed that Parma ham is a very healthy food because no sugar, smoke, or preservatives are used in the manufacturing process. Lunch was at a rustic hillside agriturismo. What is an agriturismo you might ask? 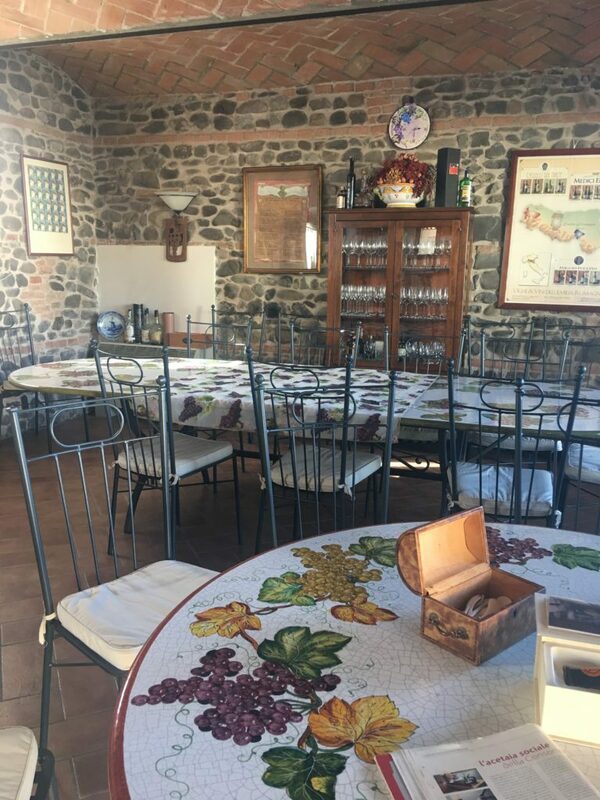 An agriturismo is best described as an independently-owned farmhouse in the Italian countryside – oftentimes it is used partially for accommodation purposes. The best part about an agriturismo is the food – most offer an affordable home-grown lunch featuring produce, meat, and olive oil fresh off the farm. The sun was shining. We dined on the aguritismo’s terrace surrounded by rolling hills and grape vines. Fresh pasta was served. Several bottles of wine were opened. 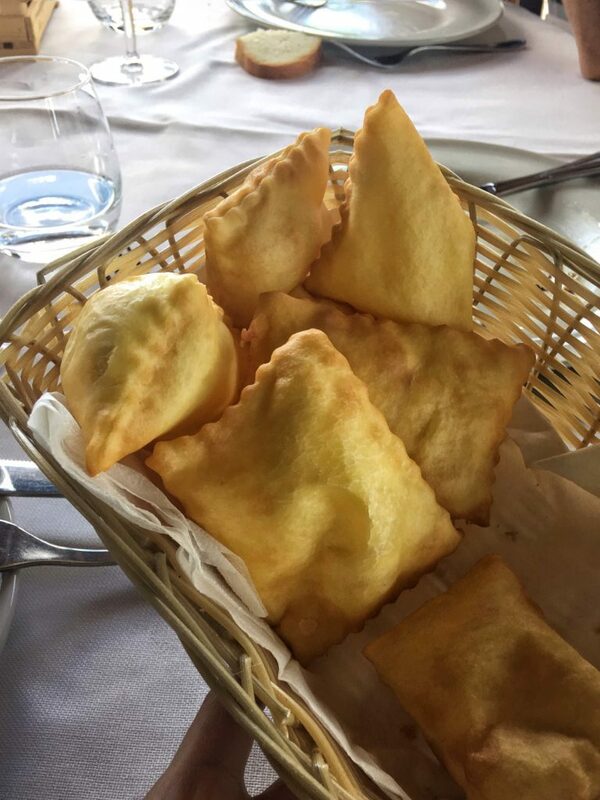 And it was during that lunch where I discovered and fell in love with gnocco fritto, a food which can only be described as pillows of fried dough. Gnocco fritto looks heavy but tastes light as air (best served hot!). Our tour ended with a quick tasting at a local balsamic estate in Modena where we got to taste 12 and 25-year old aged balsamic vinegar. I thought I knew what real balsamic vinegar tasted like before the tour, but I was wrong. Traditional balsamic vinegar is syrupy, rich, and almost velvety in texture. It tastes amazing. The real stuff is ONLY produced in Modena (you can be sure we bought a special bottle to take home and I’m going to guard it with my life). Sadly, it was there where we had to part ways with our new friend Angelo (just thinking about it makes me tear up a bit!). Seriously…I can’t recommend his food tour enough. We spent the rest of our day exploring the small town of Parma, admiring the many palazzos, and checking out the Parma Cathedral and Baptistery. The 12th-century octagonal Baptistery is made of pink Verona marble and it is truly a work-of-art. Even after all the food we consumed earlier in the day, we took it upon ourselves to find a cozy restaurant for dinner and shared a few plates of pasta at Officina Alimentare Dedicata (after all, Parma is the first Italian city to be designated an UNESCO city of gastronomy)! Parma the home to the internationally-recognized Barilla Pasta Company, it’s also home to a famous cooking school (Alma), and a food-themed amusement park ‘Eataly World’! TIP: We stayed at the NH Parma hotel and it was amazing! The rooms were huge, the bathrooms were the size of my flat back in London, and everything was clean and modern. Plus, it was conveniently located next to the train station. The city is famous for its porticoes (it has over 25 miles of arcaded streets!) and also features a leaning tower (albeit, this one is not as impressive or famous as the leaning tower of Pisa. Read more about that here). We worked off some calories by climbing the 498 creaking narrow steps of one of the Two Towers. It was totally worth the effort as we were greeted with a fantastic view of Bologna’s famous red-colored rooftops and surrounding green hills. Fun Fact: Even though pasta is now a common staple food in any modern kitchen, pasta was once considered a dish for the wealthy and featured heavily in glamorous dinner banquets for the aristocracy during the Italian Renaissance. We toasted the end of our whirlwind food extravaganza around Emilia-Romagna that night with a bottle of sparkling Lambrusco (a tart local wine, perfect for cutting through the fat and salty goodness of the other plates). 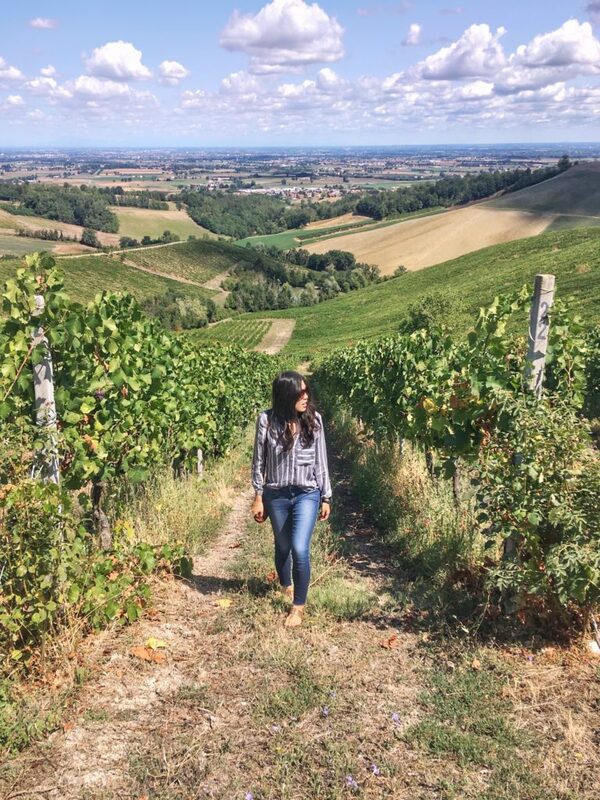 Our trip to Emilia Romagna was short but sweet, and featured a great itinerary for getting a glimpse into the region’s pride for local heritage, and love and passion for food. 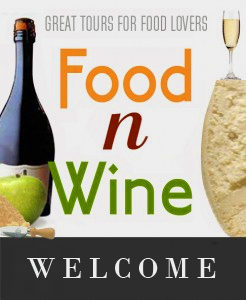 It’s the perfect destination for those seeking a hidden, gastronomic treasure. Have questions or need help planning a trip to Italy? Leave me a comment below! Fantastic article! This part of Italy is on my bucket list and i’ll bookmark this post for future reference ? Thank you! 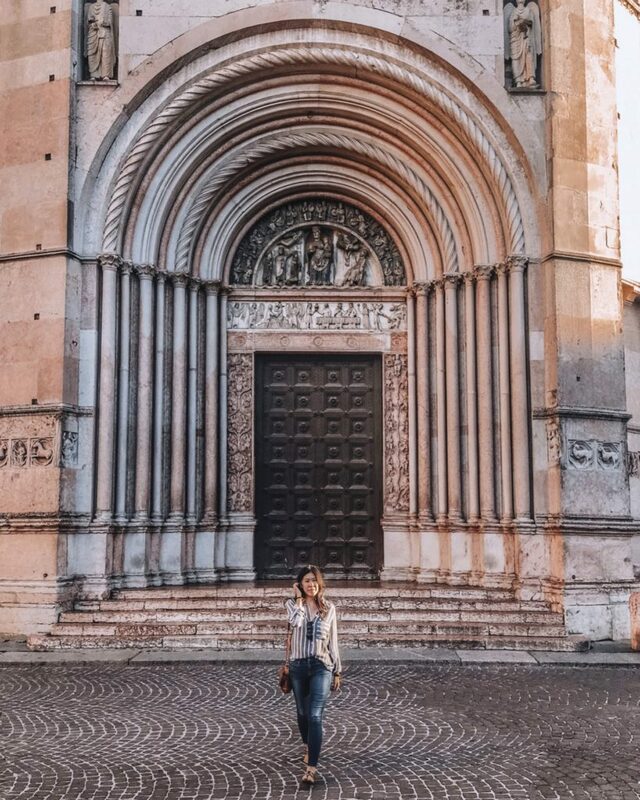 It’s such an underrated region of Italy and I’m so glad you’re interested in going! Let me know if you need more recs. ? Hi! Jessie here. I love to travel, eat, cook, and spend time with my beloved family and friends. Lover of cheese and avocados. Product manager by day, travel blogger by night. Hi! Jessie here. I love to travel, eat, cook, and spend time with my beloved family and friends. Lover of cheese and avocados. Product manager by day, travel blogger by night. Read my travel stories here.